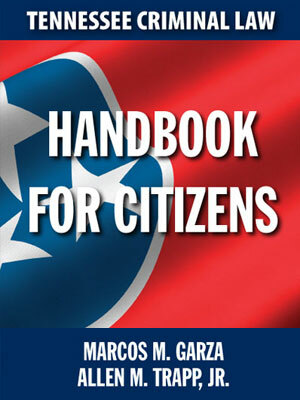 The citizen’s guide DUI Book: Tennessee Edition paperback was written by Marcos M. Garza for assisting citizens and clients accused of DUI related charges. It was written with the intent of easing the uncertainty and increasing understanding of the legal process for the citizen accused. The Tennessee Criminal Law Handbook for Citizens co-authored with Allen M. Trapp, Jr. It is a paperback book designed to help those people accused with criminal charges understand the criminal justice process and their rights under the constitution. It also is designed to assist the citizen accused with choosing the right lawyer and assisting in the defense of criminal charges. Authors: Marcos M. Garza, Allen M. Trapp, Jr. 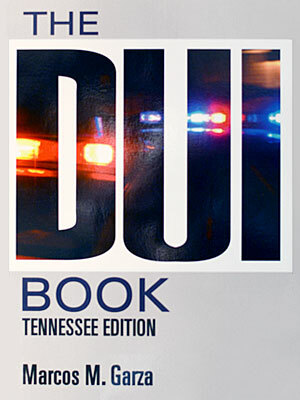 The DUI Book: Tennessee Edition is a two book volume which is a combination of two literary works. It is comprised of both a book that is national in scope, addressing DUI and DWI laws. 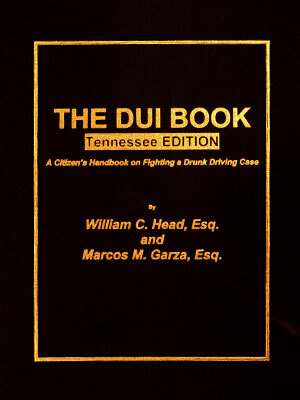 The Tennessee supplement is included in this two-volume edition with more specific detail included as it relates to DUIs and related DUI laws in Tennessee. This book was co-authored with nationally-renowned DUI expert Attorney William “Bubba” Head.